Whether you plan to buy or not, Christie’s latest auction of modern and contemporary art from Turkey, Iran and the Middle East is an opportunity you can’t afford to miss. The history of modern and contemporary art is defined as much by the names of patrons and collectors as it is by the artists themselves: Frick, Mellon, Stein, Guggenheim, Gulbenkian and Saatchi. Among artists and collectors on a budget however, few names elicit as much inspiration, affection and respect as Dorothy and Herbert Vogel. 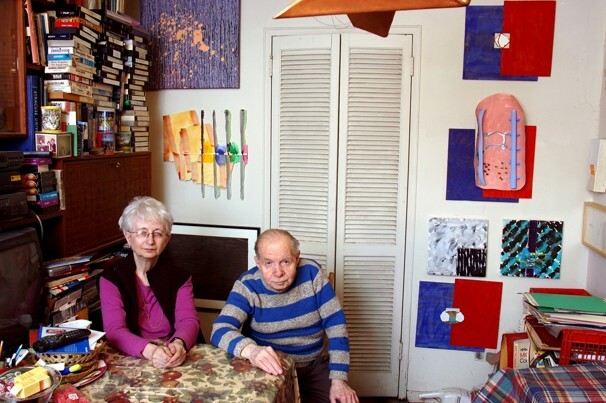 Dorothy and Herbert Vogel surrounded by art in their apartment/gallery in New York. Buying only what they could afford – Dorothy was a librarian and Herbert a postal worker – the Vogel’s amassed one of America’s most important collections of conceptual and minimalist art. An unlikely husband and wife team, the Vogels were living proof that you can become a serious art collector even on a limited budget with limited space. Buying only what they could afford – Dorothy was a librarian and Herb was a postal clerk – the couple managed to create one of America’s most important collections of 20th-century conceptualist and minimalist art, collecting almost 5,000 works over a 50-year period. The collection had to fit inside their tiny one-bedroom, rent-controlled apartment on New York’s Upper East Side. In 1991, the National Gallery of Art in Washington DC acquired a significant portion of the collection. From Sunday to October 24, the international auctioneers Christie’s will give budding collectors in the UAE the chance to copy the Vogels with a sale of modern and contemporary art from Iran, Turkey and the Middle East. Promising museum-grade works of art at something approaching affordable prices, the sale has a two-part structure that shows work by younger, contemporary artists alongside pieces by already recognised modern masters and more established names. Part one of the sale boasts two paintings by Mahmoud Said, Pêcheurs à Rosette (1941) and El Zar (c.1939), neither of which have appeared at auction before. 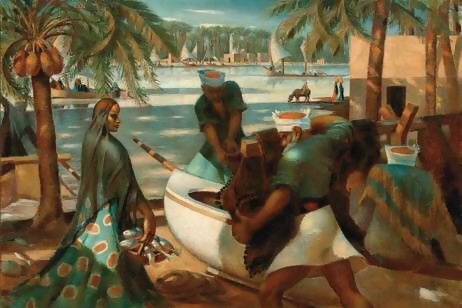 Described as the “father of modern Egyptian painting”, Said’s The Whirling Dervishes (1929) set a new world record for a Middle Eastern artwork when it fetched US$2.5 million (Dh9.2m) at a previous Christie’s Dubai auction in 2010. 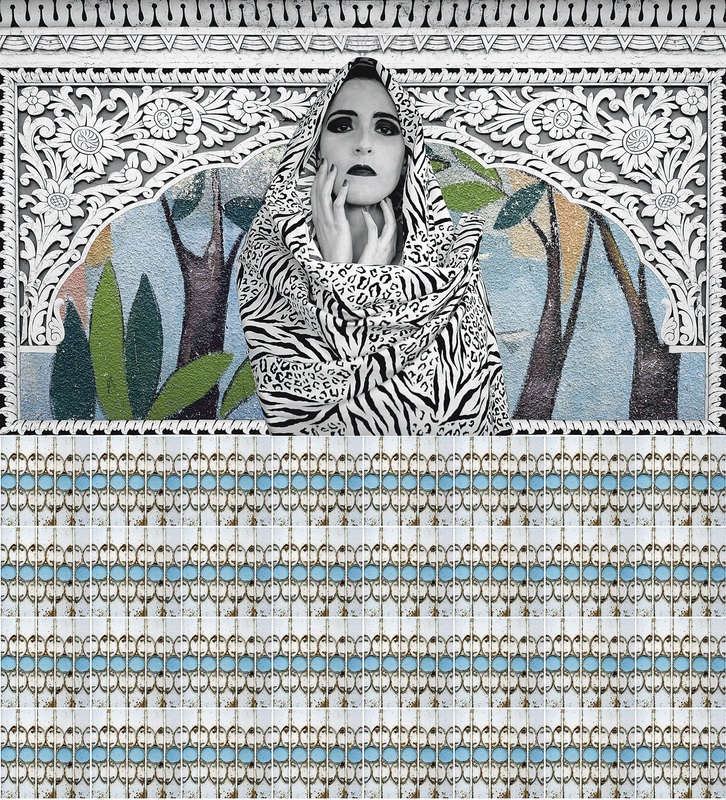 Part two of the sale includes more accessible pieces such as Camille Zakharia’s The Fortune Teller, a photomontage/collage from 2010 that’s estimated to achieve $5,000-7,000. Zakaria left Lebanon during the Civil War and his work explores themes of identity, belonging and home. For Khayat, much of the excitement around the work stems not just from its rarity and quality (she spends many months selecting pieces for each sale) but also from the fact that auctions such as this play an important role in helping to develop a wider appreciation for the art of the Middle East. The story of modern and contemporary art in the Middle East is still unfolding. Much of its history is uncharted territory, and until recently, the art of the region has been characterised by an absence of infrastructure in the form of the archives, libraries, and foundation narratives that are taken for granted in the West. Until museums such as the Guggenheim Abu Dhabi open and establish a regional canon, auctions offer serious art lovers the opportunity to help shape that future, but as the Vogels and Khayat would agree, that’s an investment that can only really come from a genuine appreciation of the work. Love the picture of the Vogels.